In The News - People Places, Inc.
Click links to view stories. Links will open in a new window. ALBEMARLE COUNTY, Va. (NEWSPLEX) — There are more than 5,000 foster children in Virginia right now, and a couple of local groups are looking for more families to help. One family in Albemarle County has been fostering children for more than two decades, and they shared some of the benefits. Patty and Roger Gonzalez say raising foster children is no different from raising your own kids. They say it is the special bonds they have formed over the years that last a lifetime. 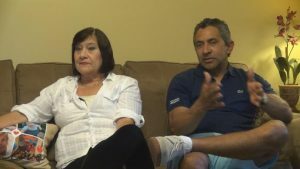 When the Gonzalez family first moved to Albemarle County in 1993, they started babysitting so their young son could have some playmates. “I didn’t really want to leave him in a new state and we didn’t know anybody,” said Patty. “I really didn’t to put him in care with anyone else but me.” Something was still missing from their small family, so a few years later, they decided to become foster parents. “The same love you give your own child, you give to your foster child because they become part of your family,” said Roger. The Gonzalez family has raised several children over the years, but they have a lot of memories from a girl they looked after for 11 years. Click here to read the full story and watch the featured video. Contact us at the location nearest to you!